He’s a superstar athlete who scored a silver medal in the men’s triathlon at the 2008 Olympic Games in Beijing. But Simon Whitfield is best remembered for his gold medal win at the 2000 Olympics in Sydney — where he came from behind after a crash in the bike race to steal the top spot. When it comes to competition, the Olympic and world champion has plenty of drive. It’s the same on the road, except he prefers a slower pace and opts for function over speed. That’s why Whitfield drives a 2006 Honda Fit compact hatchback. “It’s a dynamic car; it’s the perfect triathlon fit. “For a triathlon, efficiency is everything because you have to conserve energy through the race to get to run. I suppose with my car it’s the same — efficiency is everything. It’s so functional,” says Whitfield, who is married and has a 17-month-old daughter named Pippa. “We have a little girl and we throw our bikes in the back. “It was totally incomparable to other cars. When you try to do comparison shopping — they’re almost making it unfair. 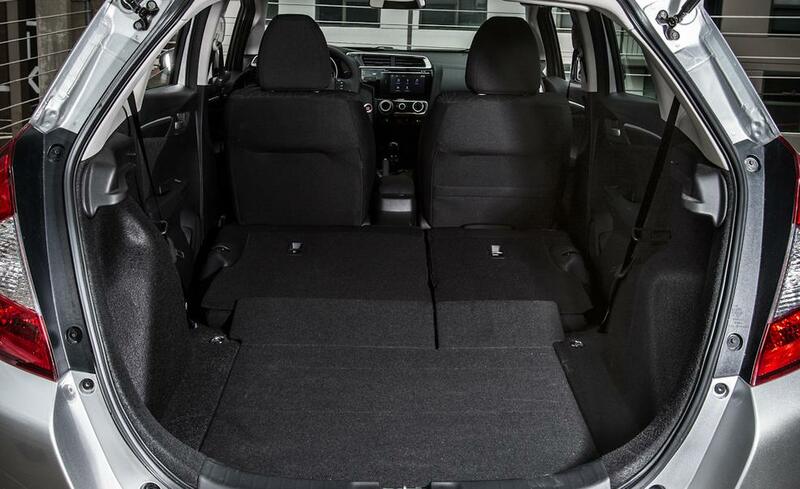 The Fit has got more room, it’s more fuel-efficient, it’s a really nice-looking car, the seats all fold down really cleverly. Somebody in North America needs to steal this design. And the price is great, too. “It says I’ve become more practical and functional — in the expense, the low maintenance, the fuel efficiency,” says the dual Canadian-Australian citizen who lives in Victoria. Size is everything for the 33-year-old. “It’s a way bigger car than it looks. 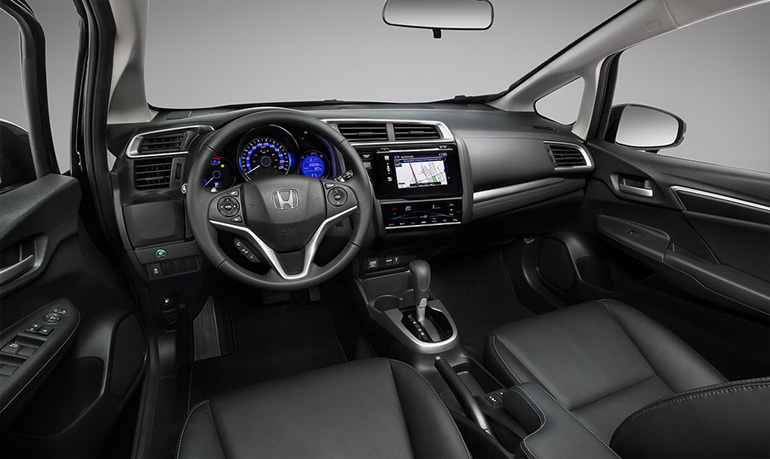 Whitfield’s second car is also a Honda — a 2008 CR-V SUV, but the Fit is still his favourite. “Because we live in Victoria the running is spectacular. I like being able to get to runs so we’ll drive out to Goldstream Provincial Park. My favourite thing with the car is having the trunk open, all the boys’ muddy shoes in the back, people asking for towels to sit on seats — I like that,” says Whitfield who started competing in triathlons as a tween. Despite his quick race pace, on the road it’s a different story. “I have a daughter now — I’m lame. I’m more cautious. But it landed him in hot water on one occasion when he was 22. “My very first date was in the Renault — this was 10 years ago. “I did two U-turns, turned right on a do-not-turn right on a red, cut across a Petrocan parking lot, cut across another parking lot to get to the restaurant and a cop followed me the entire way! “He said, ‘Oh, all right.’ But he didn’t let me off. He laughed a lot and I’m sure I was the joke later at the station,” he laughs in retrospect. Whitfield usually changes cars often. “Every November, I seem to get bored and buy a new car. We had a Volkswagen Westphalia for a while — that was my yuppie, hippy stage. “I had a Mini Cooper — that was a gold standard of yuppiness. The Mini was fun, but the Fit is just so much more functional. 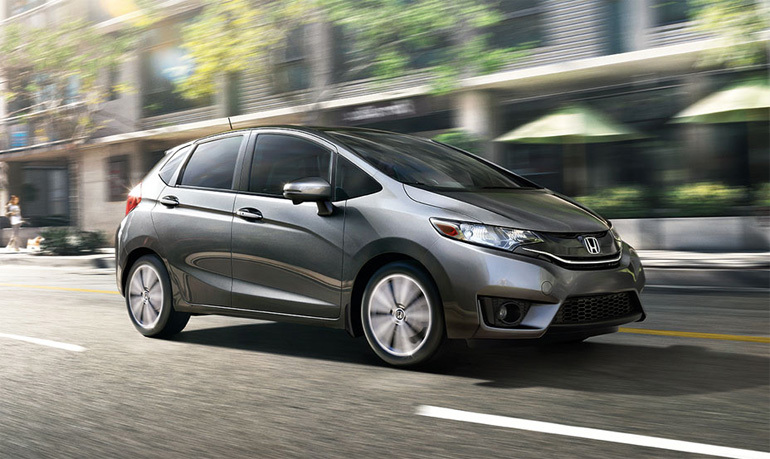 Although it debuted in Canada in 2007, the Fit wasn’t exactly a brand-new model. It had actually been in Japan since 2001, and was sold throughout the world, where it was and is known as the Jazz. In Japan, it’s been one of the most successful models the company has ever put forward. Available in four-door hatch configuration only, the ’07 Fit was powered by a 1.5-litre four-cylinder that featured Honda’s VTEC variable valve arrangement. It developed 109 hp at 5,800 rpm and could be had with either a five-speed manual transmission or five-speed automatic with an optional manual shift feature that allowed you to change gears via steering-wheel-mounted paddle shifters. This set up made the Fit unique in this market. But more to the point, perhaps, the Fit returned very competitive fuel consumption: 7.3 L/100 km in town and a miserly 5.8 L/100 on the highway. 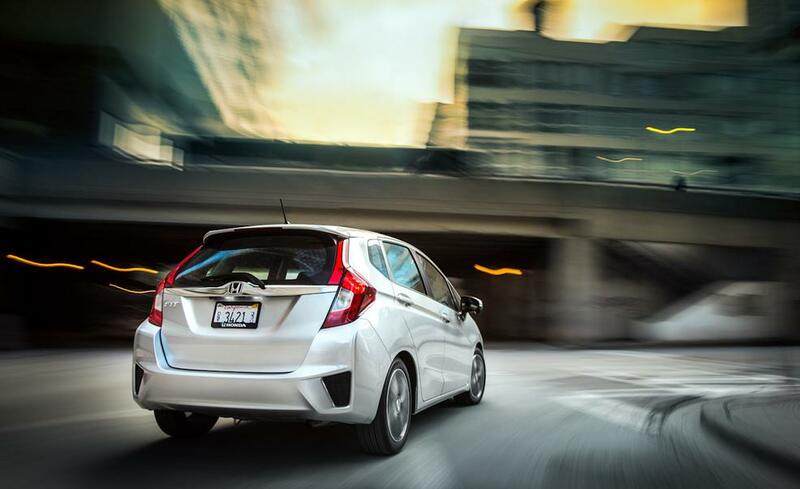 Compared to rivals such as the Hyundai Accent or Kia Rio, the Fit had a much higher level of refinement, and was very driver-friendly and easy-to-get-along-with. Interestingly, it was actually larger than the original first generation of Honda Civic – by a considerable margin. With all the seats folded flat, there was 1,186 litres of storage space back there and it was very similar in concept and size to the old Honda Civic Wagon, which was on the market in the mid-1980s. 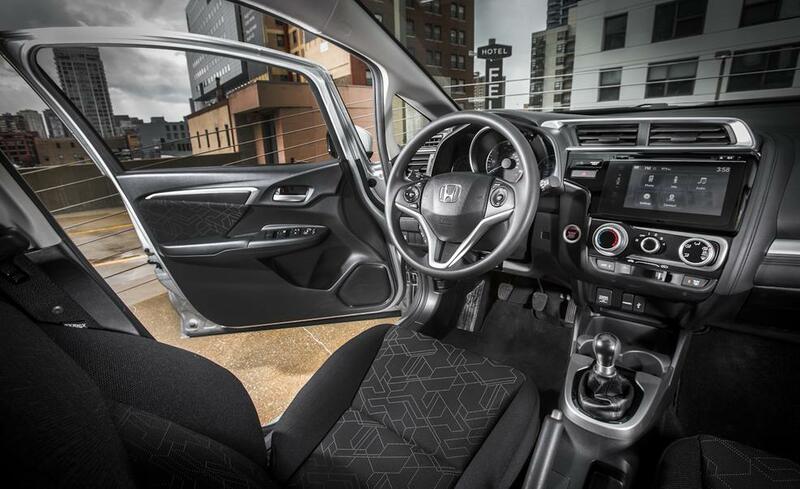 As Honda executives were quick to point out at the time, it also had more interior headroom and cargo volume than the Toyota Yaris, thanks to a rear floor layout that was 170 mm lower. 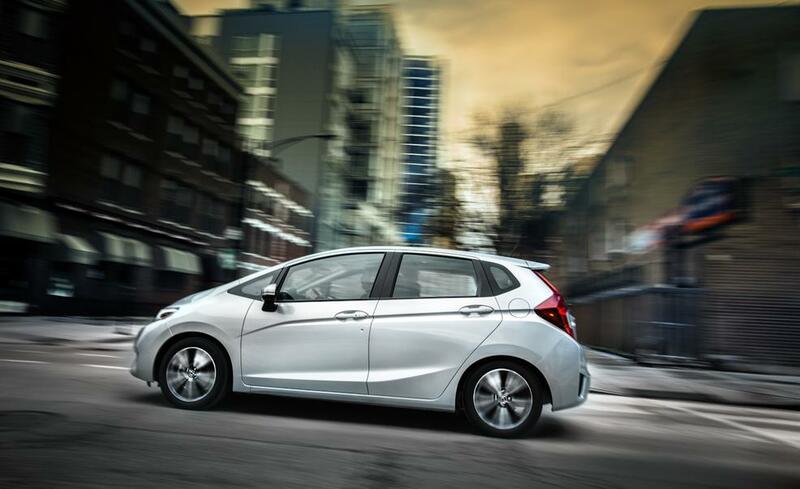 Honda designers did some fuel tank repositioning to accomplish this, and the Fit was easy to get in and out of. You can fold the second row of seats flat individually or together, and Honda claimed that a bicycle would fit upright in the back. There are also various other combinations that allowed you to fully recline the seats and have a snooze, carry odd-shaped cargo or whatever. It may have technically been a four-door hatchback, but in some ways, the Fit is kind of a mini-minivan. In 2007, it came in three trim levels: DX, LX, and Sport, and standard equipment level was pretty generous. Power windows, adjustable steering, drive-by-wire throttle, ABS and a decent stereo with MP3 capability all come with the base DX. Various other modcons, like air conditioning, power door locks, larger 15-inch wheels and tires and driving lights were available as you went up the trim levels. The top of the line Sport had the aforementioned paddle shifters as well as cruise control, upgraded stereo, and an underbody spoiler kit. This latter feature was strictly for show, as there was no performance upgrade with the Sport model. Market research company J.D. Power is generally positive about the 2007 Fit. There seem to be some issues with powertrain quality and style, but most other areas of the car are “about average” or better. 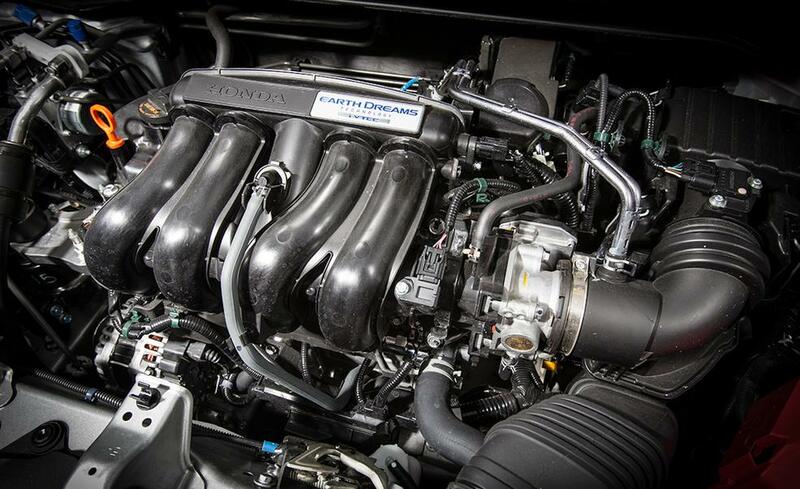 Overall mechanical quality gets a top rating, as do features accessories quality. As a result, J.D. Power bestows a “most dependable subcompact car” title on the 2007 Fit as well as “most appealing subcompact” in a three-way tie with the Toyota Yaris and VW Jetta. Either way, the Fit has held its value remarkably well. These days, you can expect to pay at least $11,000-$13,000 for a three-year-old model. Considering that its base price in ’07 was under $15,000, that’s pretty decent residual value. 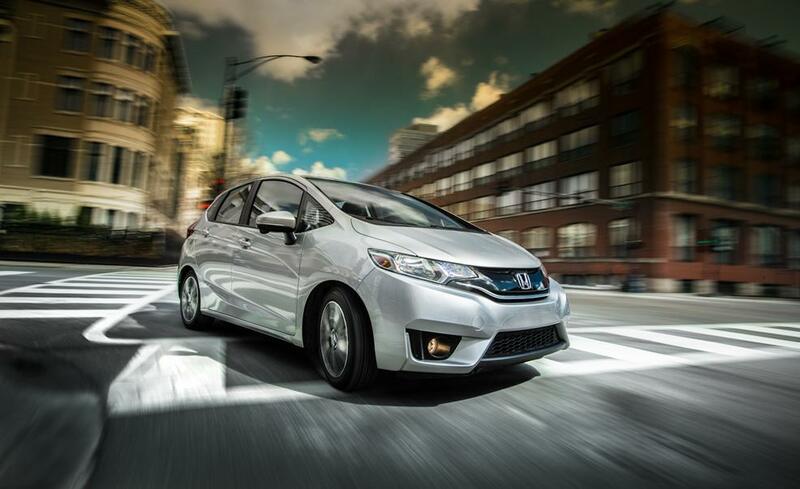 ARLINGTON, Va. — The redesigned 2015 Honda Fit earns an acceptable rating in the Insurance Institute for Highway Safety’s challenging small overlap front test, a significant improvement over the 2009-13 model, which was rated poor. With good ratings in the Institute’s four other crash tests, the minicar qualifies for the IIHS TOP SAFETY PICK award. 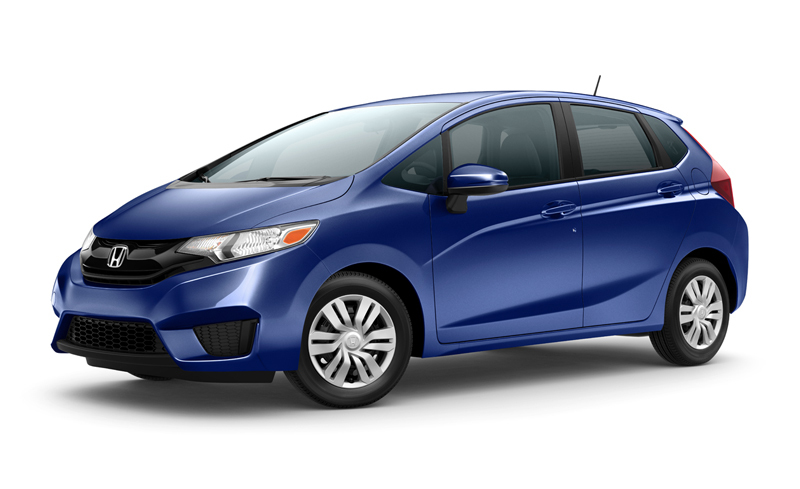 Honda will initiate a “product update” to replace the bumper beams on approximately 12,000 2015 Fits that were sold earlier this year, prior to the change to the bumper welds. Owners will be notified by mail, and dealers will do the work free of charge. This modification will significantly improve protection in small overlap crashes. Only cars with the replacement bumper beam earn the acceptable rating in the small overlap test and qualify for the TOP SAFETY PICK designation. The Institute introduced the small overlap evaluation in 2012. In the test, which is more challenging than either the head-on crashes conducted by the government or the IIHS moderate overlap test, 25 percent of a vehicle’s front end on the driver side strikes a rigid barrier at 40 mph. The crash replicates what happens when the front corner of a vehicle collides with another vehicle or an object such as a tree or a utility pole. To qualify for TOP SAFETY PICK, a vehicle must earn a good or acceptable rating for small overlap protection and good ratings in the Institute’s moderate overlap front, side, roof strength and head restraint tests.